Click the User Comments Summary Table icon in the "Annotation Layers" menu at the bottom right of the project (Figure 1.11.5.1). 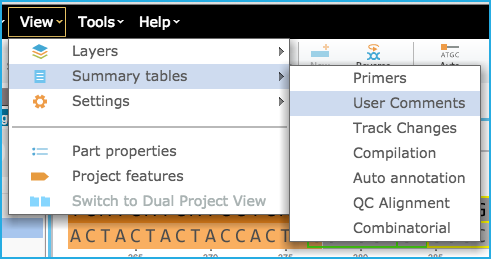 Or from the "View" menu in the tool bar select "Summary tables" and then "User Comments" (Figure 1.11.5.2). 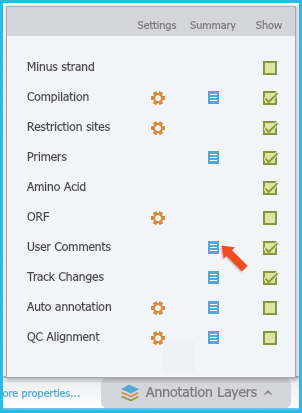 Figure 1.11.5.1: Selecting the User Comments Summary Table from the Annotation Layers menu. Figure 1.11.5.2: Selecting the User Comments Summary Table from the View menu in the menu bar. 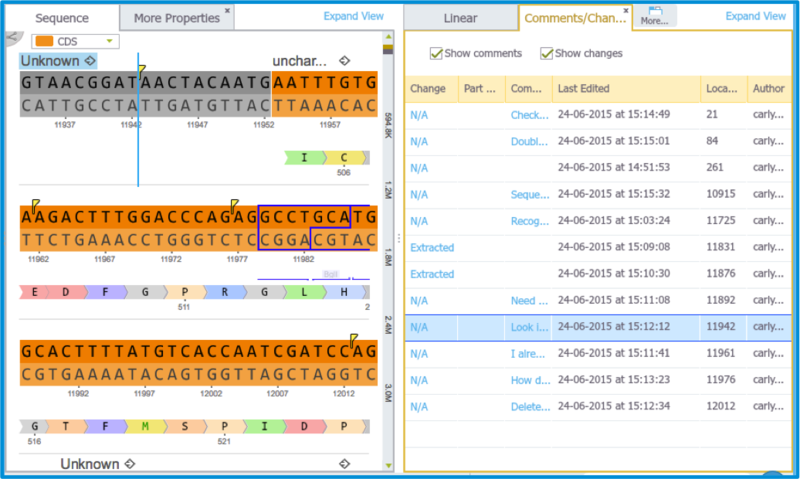 The “User Comments Summary Table” (Figure 1.11.5.3) displays all the comments, as well as their location, author and the time and date that they were made. Figure 1.11.5.3: User Comments Summary Table. You can navigate to each comment in the sequence by clicking on it. Click the “Show changes” box to include in this list the tracked changes that were also made in this project.